Imagine sitting in the sunshine – or as the light fades on a summer’s evening – waiting in expectation for an actor’s voice, some music or dance. 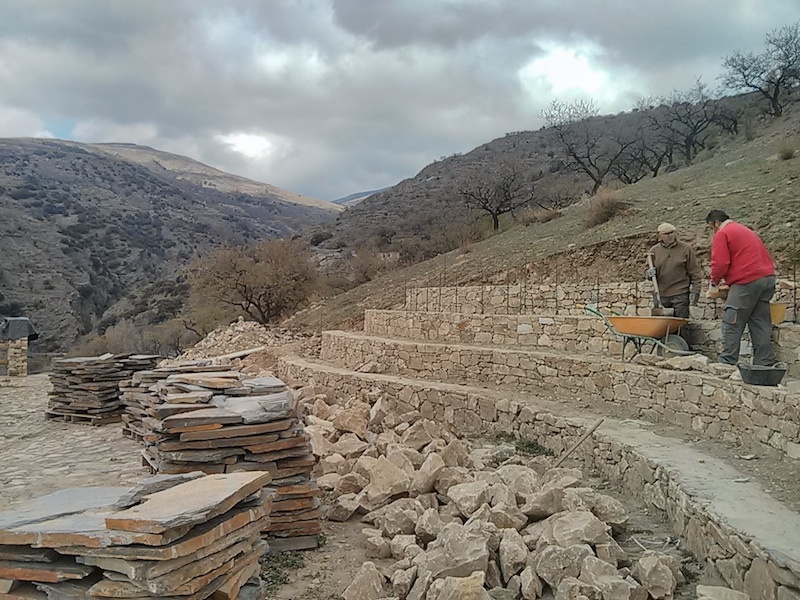 In Laroles, high in Las Alpujarras, one woman’s dream is taking shape: to build a performance space for all to enjoy. 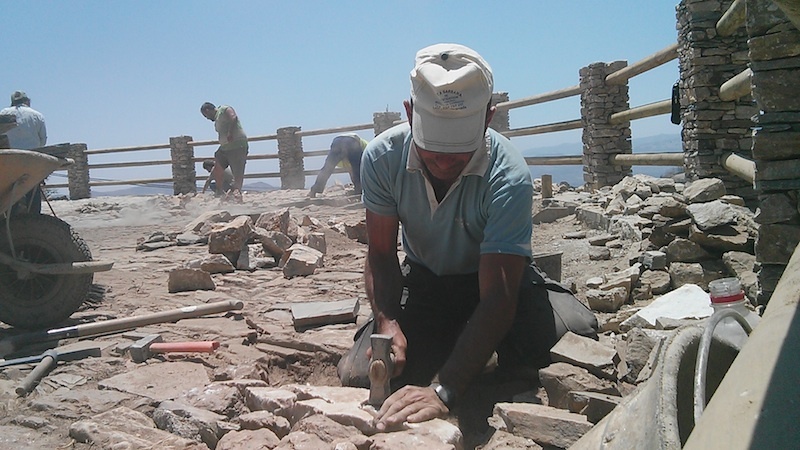 Anna Kemp, who lives in London but regularly spends time in Spain, has gathered friends and helpers to build a stone amphitheatre on the site of an old corn-threshing circle. When finished it will have 300 seats and, like all projects, it has a series of targets: €10,000 builds the theatre, €30,000 gets it a bar/café (and helps fund an opening night) and €60,000 gets the project truly underway throughout 2015. It’s a big team effort. There’s a slate expert from Wales, a crowdfunder in Australia – and various people who run festivals all chipping in. Members of a group of international entrepreneurs in Madrid – Guiripreneurs – recently spent a weekend helping on site. Compañia Nacional de Danza de España have offered lighting equipment for some events too. Anna (who we’ve never met) spends time on Twitter promoting the cause, with tweets to people such as Leonard Cohen, Russell Crowe, Melanie Griffith and John Cleese (one idea is to have ‘named’ seats and even quotes so people can ‘read’ the theatre). And you too could be sitting on a rock in a hard place, enjoying some high entertainment in future years. Chuck the project some euros and there are various perks – like a seat for the opening night in August 2014. It sounds like a fascinating project which we’ll report on as and when. In the meantime you can follow its progress – via Anna – on Twitter. Here you can see the progress already made. The Theatre Company in Mumbai opened a theatre retreat with a natural outdoor amphitheatre in Kamshet “Workshop” – we went for an all night performance as part of its inauguration last month. The funds predominantly came from the Indian theatre community… contributing over the years what they can. Best wishes to Anna and the project team! Good to see such initiatives! Thanks – the best storyteller is Anna herself of course…check out the other videos on her page…. According to the huge mosaic map in Orgiva plaza, Laroles is 73km away. Sin coche – not so easy at the moment but we hope to visit too.